The University of Pittsburgh SAE racing team started volunteering in 2014 at the Cortile. In 2015 they where instrumental in developing a CAD layouts for our showfield and parking areas. They been there to help us set up, help us park cars, and break down after the show. These kids love racing and we've come to rely on their knowledge and assistance. Please be sure to visit their website and consider throwing your support to there team. 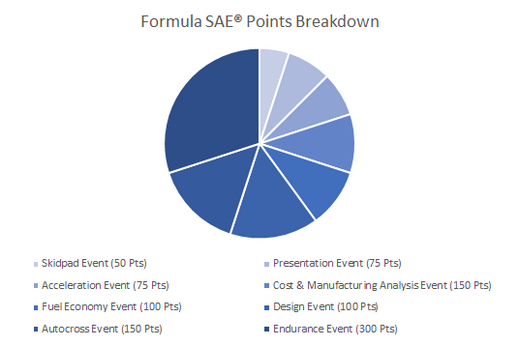 Formula SAE® is a student design competition organized by SAE International (formerly Society of Automotive Engineers). The first competition was started in 1978 and was originally called the Mini Indy which was held in 1979. It has since evolved into a world wide competition involving more than 120 teams at the main event in Michigan. The concept behind Formula SAE is that a fictional manufacturing company has contracted a design team to develop a small Formula-style race car. The prototype race car is to be evaluated for its potential as a production item with 1000 units being produced. The target marketing group for the race car is the non-professional weekend autocross racer.